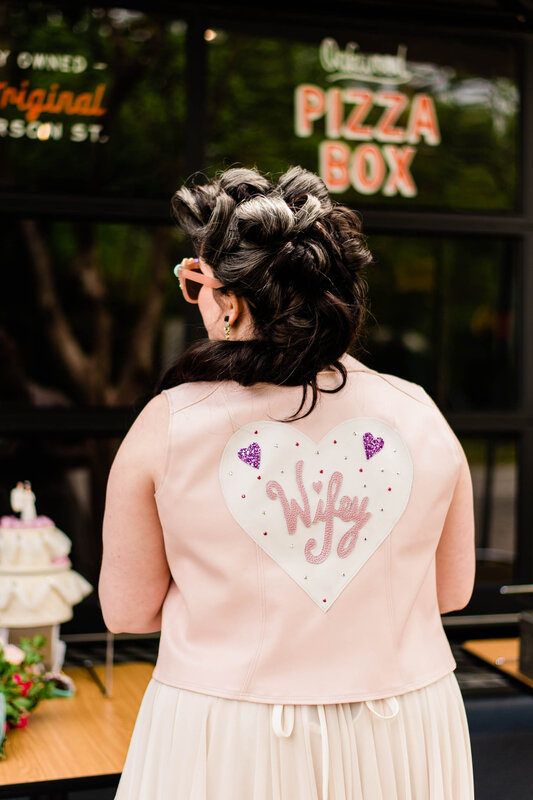 A few months back I was contacted by the lovely Nina who runs Wedded Kiss, she had absolutely fallen in love with my jackets and wanted to feature them in a shoot that they were organising. 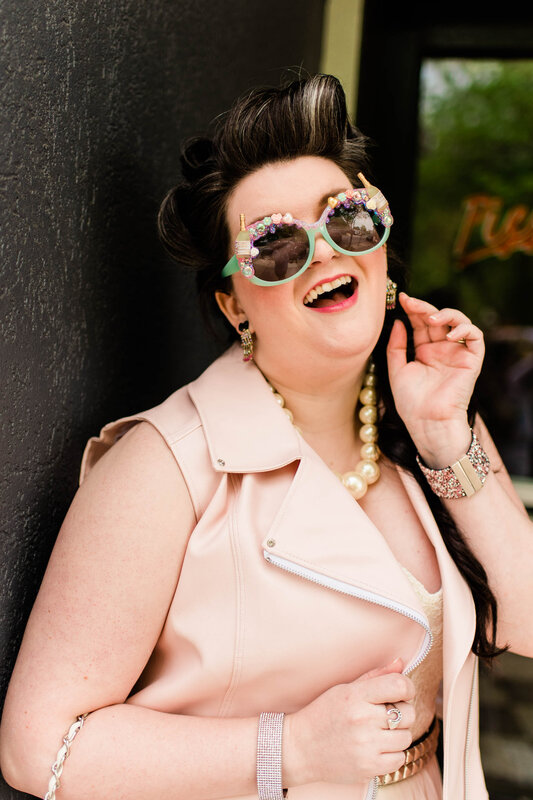 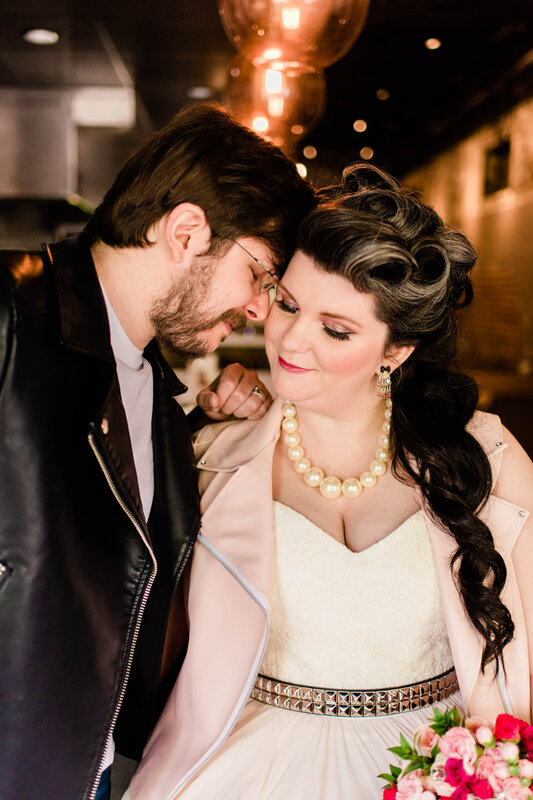 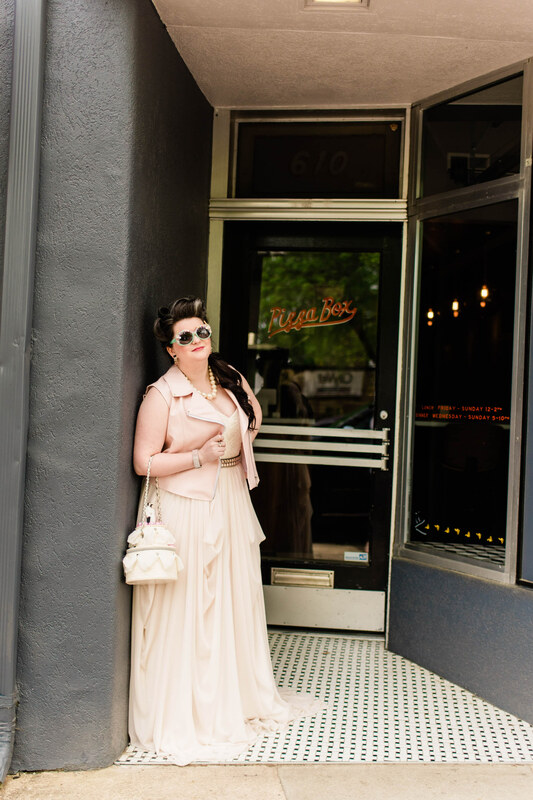 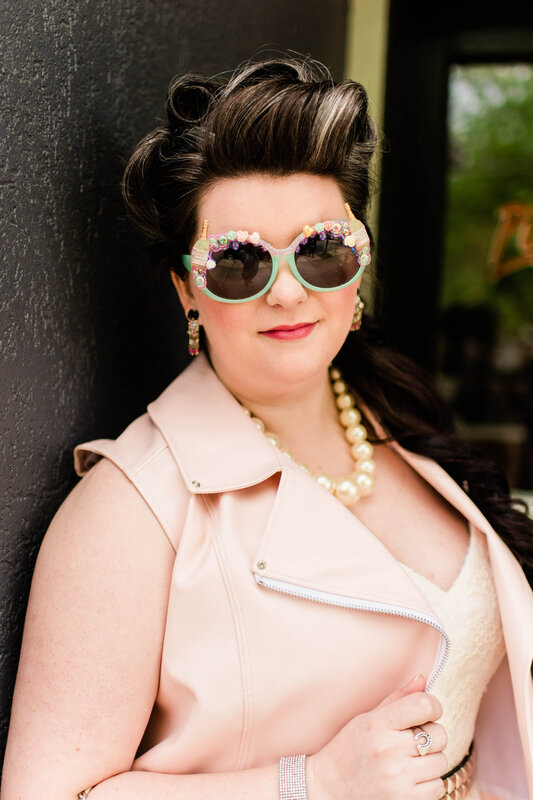 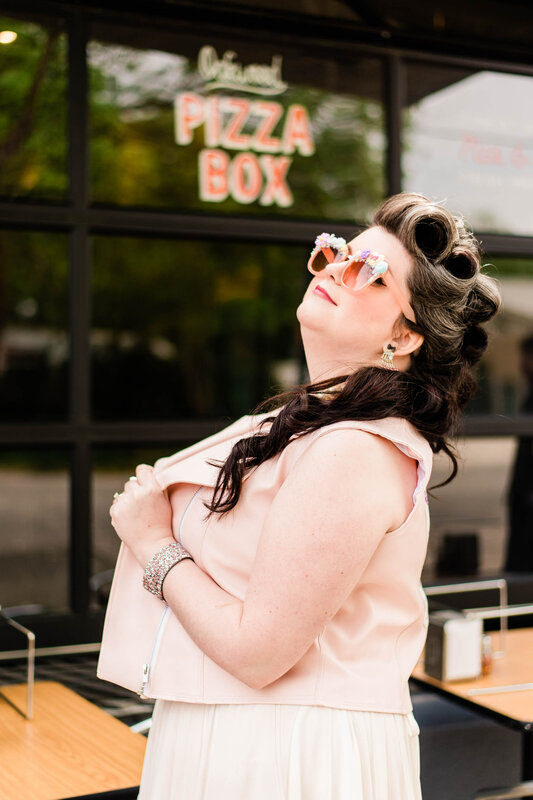 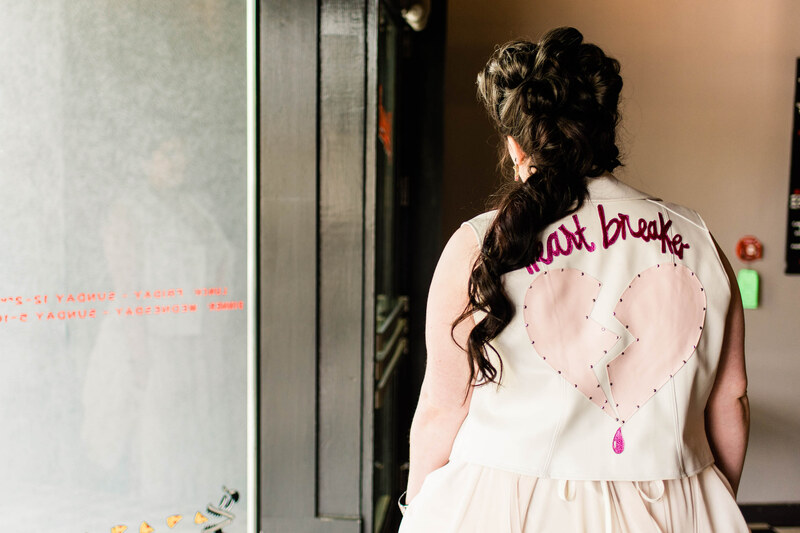 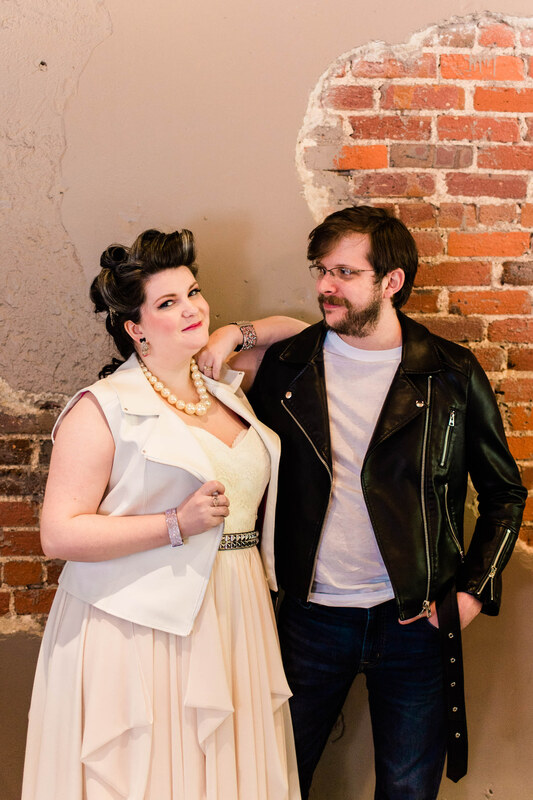 I absolutely love being involved in shoot and this one sounded exciting so I said yes, They were going for a rockabilly / punk rock theme so I thought my white heart breaker and pink wifey jacket would be perfect! 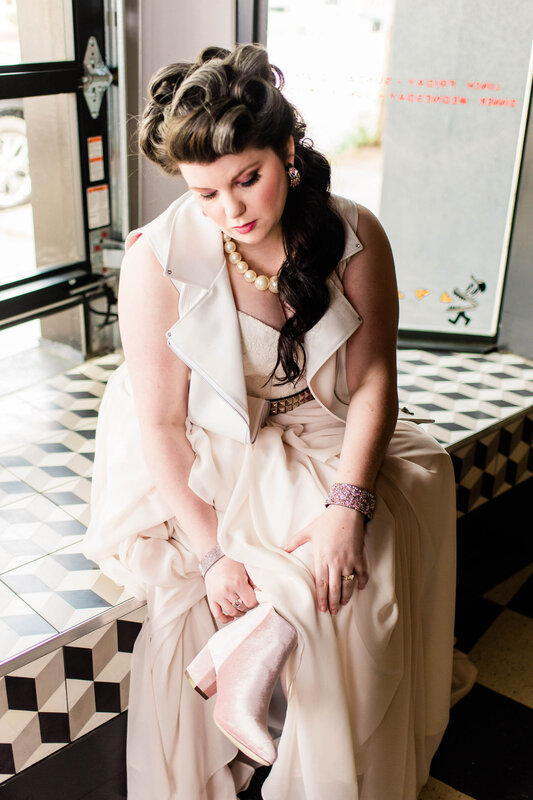 so I popped them in the post and prayed they would arrive safely in America ready for the shoot. 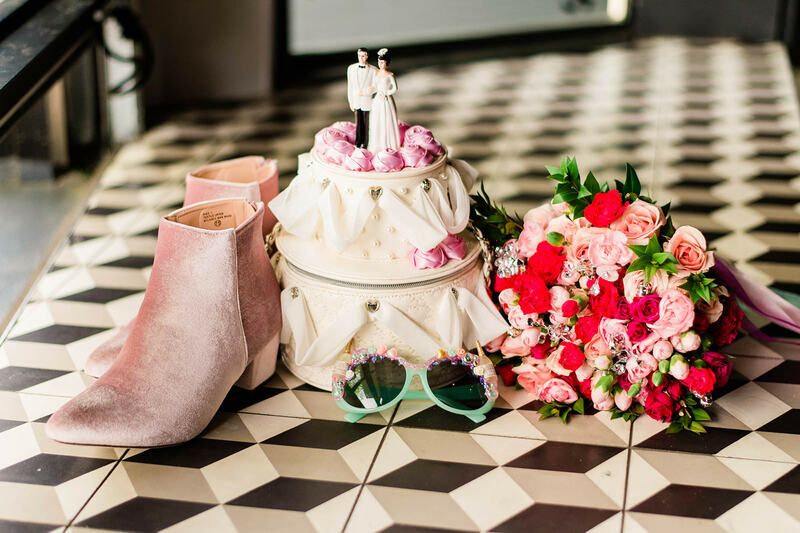 It’s so great to see so many ideas for wedding these day and you don’t have to stick with the traditions – I mean who wants that! 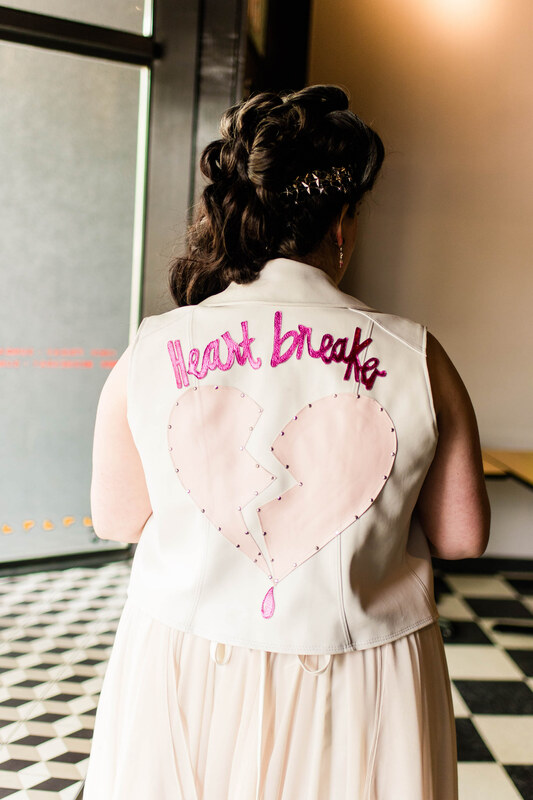 You should defiantly bring YOUR personality into it no matter what and that is defiantly what this styled shoot was all about. 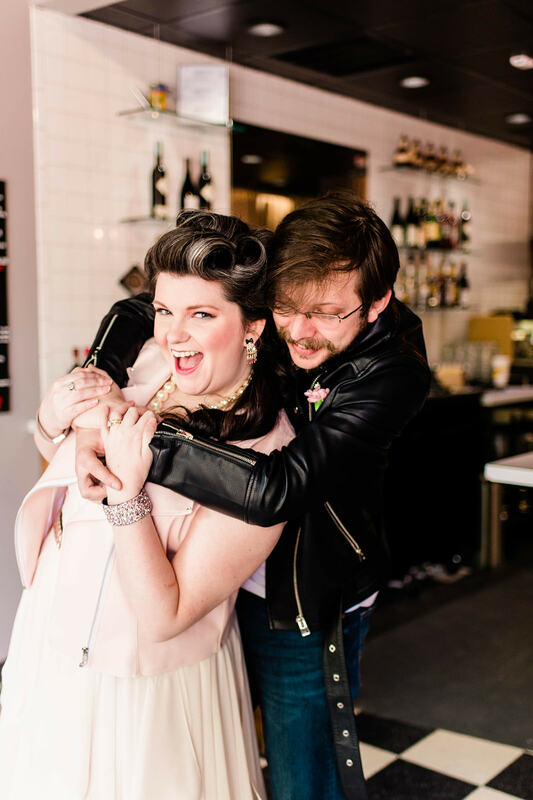 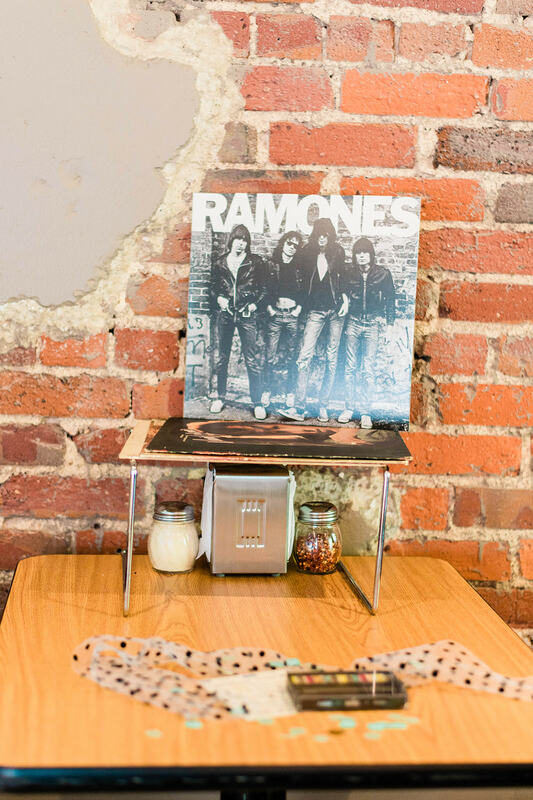 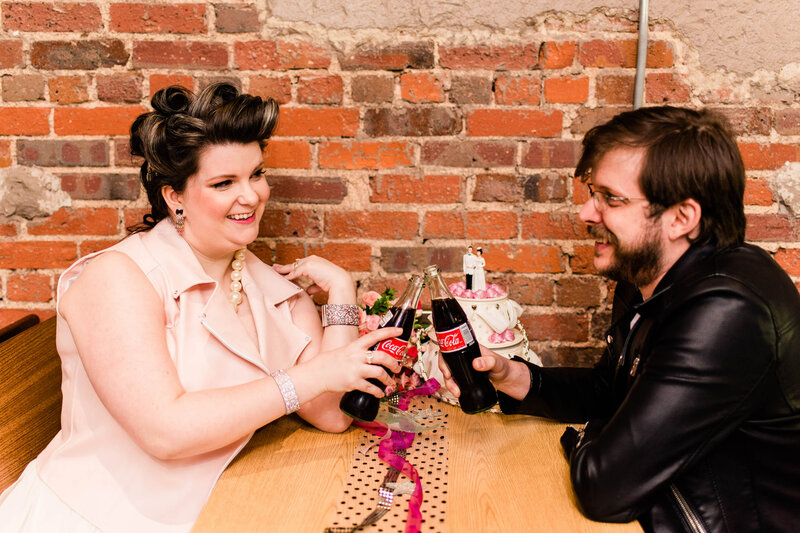 Pizza, style and most of all a loving couple which the photographer Arika Jordon captured beautifully. 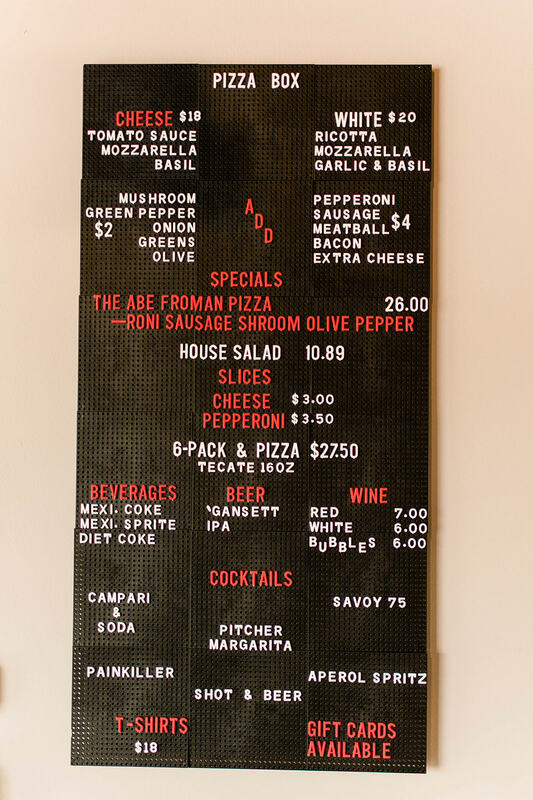 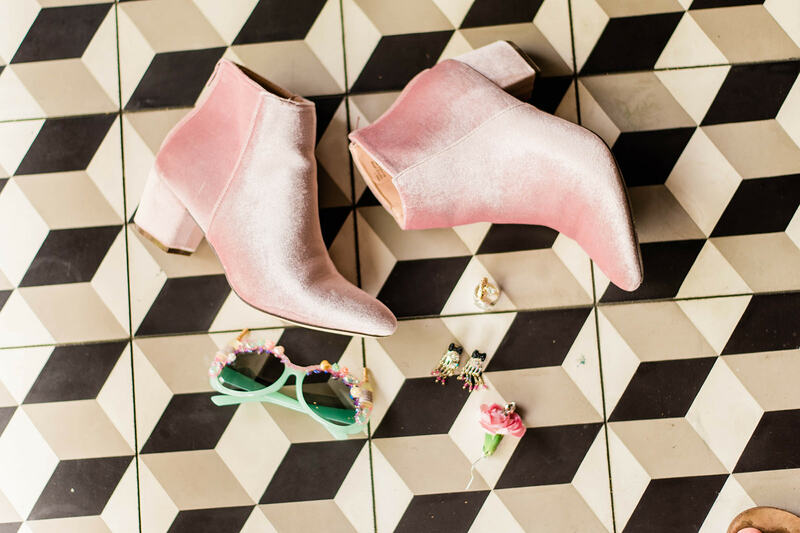 Feast your eyes on these beauties and then maybe go plan a wedding with pizza involved!